Starmark Luxury homes offer an exquisite and exclusive selection of homes that boast high end amenities and private locations to meet your vacation needs. 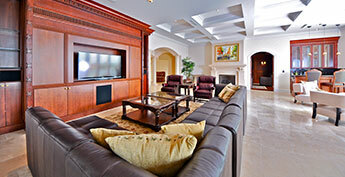 Discover a brilliant blend of comfort and sophistication with Starmark Luxury Vacation Homes. Ideal for discerning travelers, our homes are handpicked by our luxury experience specialists, and are located in the most desirable destinations. You will delight in the attentive service, private settings and exclusive amenities — all at an exceptional value. From secluded beachfront elegance and sun-drenched islands, to verdant fairways and pastoral tranquility, a truly unforgettable experience awaits you and your family. Perhaps you prefer the exciting city life of a bustling metropolis, or the outdoor adventure of a mountain hideaway? With an exquisite collection of stunning homes, there’s a Starmark Luxury Vacation Home that’s perfectly suited to your family’s needs. And you’ll never have to sacrifice the lifestyle you’ve become accustomed to. *Luxury reservations additional deposit may apply. Outstanding balance will be automatically charged 8 weeks prior to arrival and is non-refundable at that point. 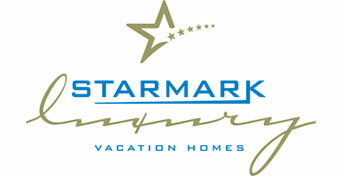 Reservations cancelled before this time will be subject to Starmark vacation homes cancellation policies.